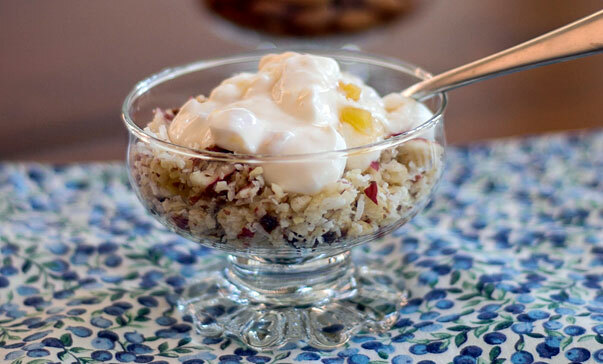 Easy, nutritious breakfast or a healthy snack any time during the day. place the fruit, nuts and coconut in a blender and process by quick bursts. You just want to break it up into small chunks, don't overprocess. Pour into a bowl and top with yoghurt or yoghurt with fruit.